Hosted VoIPS is a one stop-shop for reliable, scalable and best-in-breed VoIP telecom solutions. Our years of extensive experience and cutting-edge VoIP solutions with world-class functionalities, we have emerged as a trademark of quality in the market. Our pragmatic approach and expertise in offering cutting-edge VoIP solutions with world-class functionalities wide range of Hosted VoIP solutions allow us to keep ahead of inflexion in technology and competition. Our offerings, especially Hosted Softswitch, Hosted Softphone and Hosted IPPBX in particular are regularly asked by top‐notch companies, enterprises, Next‐ Gen Service Providers (ITSPs), Wireless Internet Service Providers (WISPs), Telephone Companies (TELCOs) and Original Equipment Manufacturers (OEMs) around the globe. Our VoIP Hosted solutions allow you to sit back and realize big savings oninvesting in VoIP equipment and its management, With redundant infrastructure and rigorous security. You can custom brand these solutions and kick-start a profitable ITSP business, with no capital investment, without purchasing your own infrastructure. Each solution is highly scalable, customizable and can be deployed easily in no time. Free online training for smooth transition. 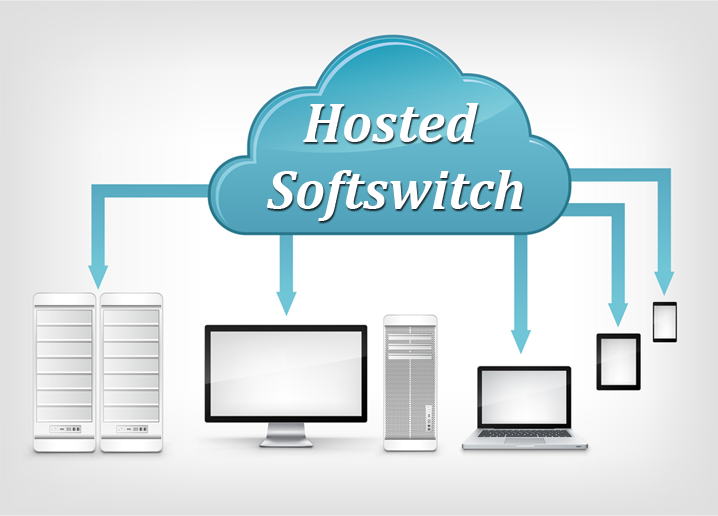 Hosted Softswitch offered is based on a dedicated served for stable, error free operation and interoperability. The entire offering is completely bespoke and can be customized as well as branded any way you need. Packed with Comprehensive Monitoring System and Real Time Customized Web Interface, our Hosted Softswitch is an all-in-one solution for VoIP Wholesale and Retail business. It is also inclusive of all necessary hardware and software for Switching, Routing and Billing of VoIP calls so you do not need to install and configure any software on your own. Furthermore, we provide comprehensive training and extensive technical support in case of any assistance. 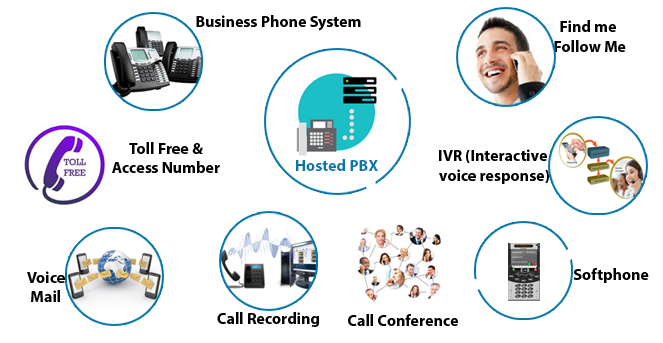 A standout amongst the latest twist offs of business medium innovation is that the Hosted PBX. This innovation licenses little and medium-sized organizations to have a tasteful correspondence framework while not the interest in phone instrumentality. Our Hosted PBX is a perfect answer for little to medium-sized IP telephony administration suppliers and affiliates who need to appreciate transporter grade VoIP PBX with constrained spending plan. Hosted Softphone is a flagship VoIP based product by Hosted VoIP that turns any internet enabled device into a hi-tech, feature rich phone for making crisp and clear audio calls via internet. Developed over SIP servers it is universally compatible with all SIP Softswitch solution. You can brand it in your company name. 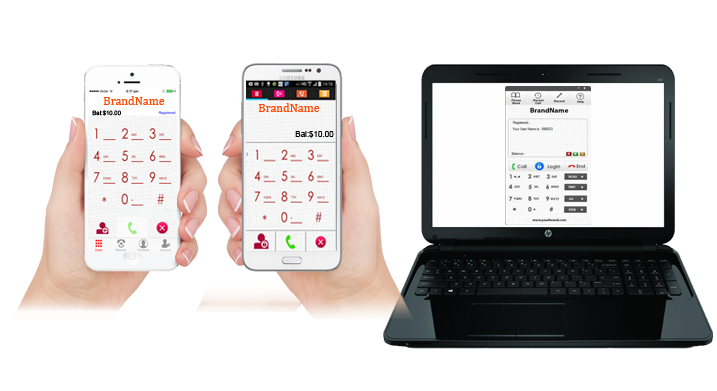 Softphone comes with premium functionalities such as DND/ Hold- Unhold/ Redial/ Auto Accept Call, Echo Cancellation and Silence Suppression to name a few. This software has been based on leading SIP standards and is fully interoperable with most major Internet Telephone service provider (ITSP) and VOIP software and hardware.